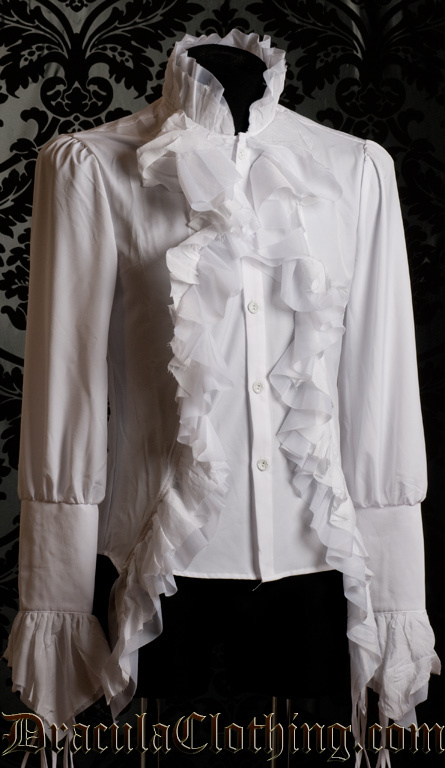 This elegant shirt gives off such an air of aristocracy! Be a prince for the evening in this detailed piece, featuring fringed edges and lacing on the sleeves. A row of intricate buttons on the sleeves is covered by lacing, for a beautiful look.